What Is Wisp Fabric Frame Nasal CPAP Mask? Who Should Buy Fabric Frame Nasal CPAP Mask? In your quest to combat sleep apnea or other sleep disorders, you are no doubt going to be introduced to the world of CPAP masks. 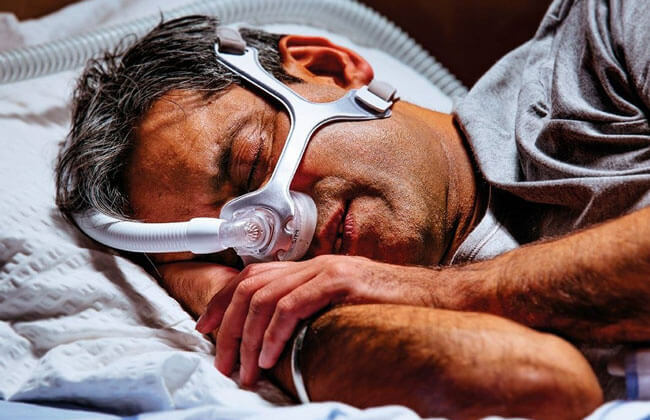 CPAP masks are used, alongside CPAP machines, to give the wearer relief from the symptoms that cause them so much discomfort and struggle during the night. Sleep apnea, or obstructive sleep apnea, leads to a variety of triggered symptoms. Sleep apnea can be graded from mild to severe – and the more severe it gets, the more you’ll need a real remedy for your situation. In our complete Wisp Fabric Frame Nasal CPAP Mask review, we will focus on one of the most effective solutions for this problem. When you begin looking at CPAP masks, you are going to notice that there are many different options available to you. From full face masks to nasal pillows, there is something for everyone. Wisp Fabric Frame Nasal CPAP Mask is obviously a nasal mask that comes with its own set of benefits. Made of fabric, this CPAP mask rests overtop your nose and helps you to stave off sleep apnea and other respiratory issues. Nasal masks are highly sought after because they are easy to wear, comfortable for long periods of time, and easier to customize for your own face. 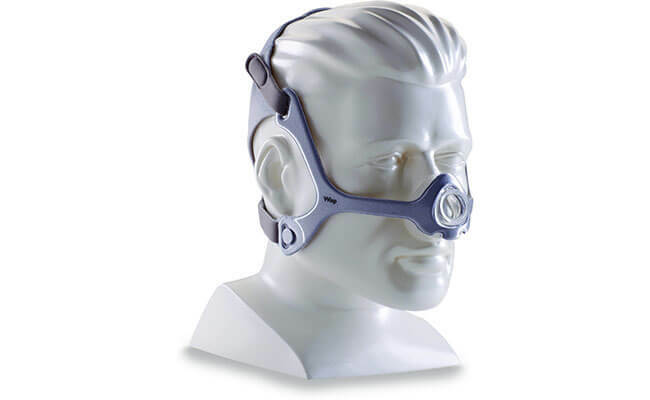 The first thing that you need to understand about this CPAP mask is that it is a nasal mask. Nasal masks are specially designed to help you treat sleep apnea. The mask is worn over your nose and it is held into place by straps that go around the sides of your face and the back of your head. As you sleep, wearing the mask, positive pressure is fed through the hose, into your mask, and near your nose where it is then inhaled. By inhaling this positive pressure, you help to undo one of the primary triggers of obstructive sleep apnea – the closing of your airways. The only way that you can successfully manage your sleep apnea is by making sure that you wear a properly fitting CPAP mask. In this section of our Wisp Fabric Frame Nasal CPAP Mask review, we will talk about how to fit it to your face. In order to properly fit Wisp Fabric Frame Nasal CPAP Mask to your face, you must follow a few simple steps. Disconnect your headgear clips from their frame. Hold the cushion on the mask over your nose, pulling the headgear around to the back of your head. Now, use your headgear tabs to adjust the straps on the mask. Tighten until the seal is proper but not too tight. With Wisp Fabric Frame Nasal CPAP Mask, you don’t have to worry about any exhausting fitting process. This is a simple, lightweight mask that was built with user experience in mind. When you sleep with something on a nightly basis, you have to make sure that it stays clean. With Wisp Fabric Frame Nasal CPAP Mask, the maintenance and cleaning process is thankfully simple and streamlined. Since this is a cloth mask, you need to get into the habit of washing the mask in between uses. Use a mild detergent and warm water to hand-wash your device. Allow it to air-dry. Always be on the lookout for defects or wear and tear and never forget to wash the components of the mask as well. As we mentioned earlier in our Wisp Fabric Frame Nasal CPAP Mask review, there are many different CPAP masks available to you. Why should you opt for this one? Wisp Fabric Frame Nasal CPAP Mask is a lightweight sleep mask that is easy to wear for even the most delicate of sleepers. The lightweight, fabric frame allows for flexible movement and the unobtrusive nasal pillow design is easy to get used to. If you are a sleeper who is fickle about sleep masks and has trouble getting used to wearing something on your face, this is the product for you. As with any product, there are going to be people on both sides of the fence in relation to Wisp Fabric Frame Nasal CPAP Mask. Some users loved the nasal mask while others were not satisfied with it. Here are the overwhelmingly common notes from both sides of the discussion. Compliments – Users loved the lightweight build and durability of the cloth frame. People were quick to praise this mask for being easy to wear. Additionally, users found it easy to move around in their sleep while wearing the device. 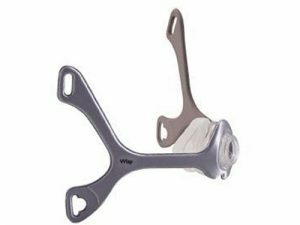 Complaints – The most common complaint about Wisp Fabric Frame Nasal CPAP Mask is the fact that the seal can break while sleeping. Additionally, this mask is tough to wear for people with deviated septums or consistent allergies. Wisp Fabric Frame Nasal CPAP Mask costs $80.00. CPAP masks are notoriously difficult to return once you open or use them. As a result, many companies do not even listen to potential requests for refunds. However, you can return your unused Wisp Fabric Frame Nasal CPAP Mask within 30 days of purchase for a refund. Restocking fees may apply. If you are still unsure if Wisp Fabric Frame Nasal CPAP Mask is right for you, check out the key advantages and flaws of this snoring aid. If you are looking for a lightweight and non-obtrusive anti-sleep apnea mask, then you have found the right product for you. Our Wisp Fabric Frame Nasal CPAP Mask review highlighted a few key benefits to the product, but we’ll close out our discussion by saying that this is an easy-to-wear product that is highly effective. The high price will scare some people away, but for those parties looking for a durable CPAP mask, there are few options better on the market. Our ratings are the result of an objective and independent evaluation of Wisp Fabric Frame Nasal CPAP Mask, generating the final rating that reflects the overall quality of the company. Ratings may change as the product introduces changes. Wisp Fabric Frame Nasal CPAP Mask user rating based on 2 user reviews. This is the exact mask I would get at my town medical supplies store but the price is much, much, MUCH lower. It's very comfortable and the petite size cushions really do it for me due to my small nose. My head and face are very small, so short of using the gear made for children, this is the only cpap mask that provides me with a good fit with minimal leaks. The cushion is very soft and the whole gear is incredibly easy to clean. Once I turn my machine on, it kinda inflates and creates a very nice cushion. I still use my moleskin for padding, but I don't have to use as much as with previous masks that use to just hang off my face. If you need a petite sized cpap mask, you can't go wrong with the Wisp. We found 0 verified Wisp Fabric Frame Nasal CPAP Mask discounts for April, 2019.